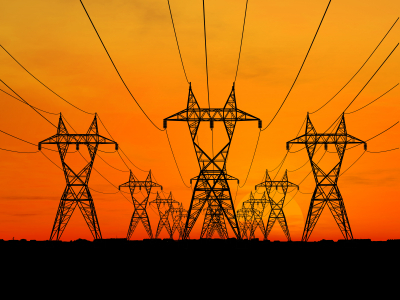 Turkmenistan plans to diversify its electricity supply routes and increase its export volumes. This was stated by Turkmen President Gurbanguly Berdimuhamedov at the inauguration ceremony of the country's first combined cycle power station, the presidential press service reported. The introduction of modern technology into the industry creates conditions for the organization of waste-free production, a significant reduction in harmful emissions into the atmosphere, according to the Turkmen leader. This will allow to save the natural gas consumed for the production of electricity, receive additional electricity without consuming excess fuel, he said. “The volume of emission will reduce by 3.1 million tons per year. At the same time, it will allow increasing the export of export volumes to 3 billion kilowatt hours,” Berdimuhamedov noted. “We plan to diversify the routes of electricity supplies and increase export volumes,” the Turkmen president said, recalling that in February of this year the construction of the power transmission system “Turkmenistan-Afghanistan-Pakistan” was launched. Construction of the first combined cycle power station on the territory of Mary HPP is aimed at further development of the infrastructure and expansion of export capabilities of Turkmen energy industry. The power plant built at the Mary HPP, four gas turbines of the U.S. company General Electric with a capacity of 263.5 MW each and two steam turbines with 260 MW each, as well as other high-tech equipment were installed. The power station allows combining the use of gas and steam in power generation, which reduces harmful emissions into the atmosphere and increases the efficiency of the installation. Its total output capacity is 1,547 MW.